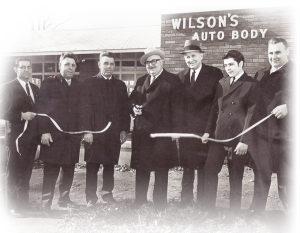 Wilson’s Auto Body is a family owned business. The owner, Will Wilson, has been in the auto body industry for 45 years. His vast experience is the key to our success. At Wilson’s Auto Body every customer is treated like family. Wilson’s Auto Body is an I-Car Platinum Class shop. Each of our technicians are constantly continuing their education, which enables our shop to maintain its I-CAR Platinum Class status. Our team prides itself with being able to service our customers with efficient, knowledgeable and personalized service. We work with ALL insurance companies. Your insurance company cannot force you where to get your car fixed. You have the legal right to use the company of your choice.